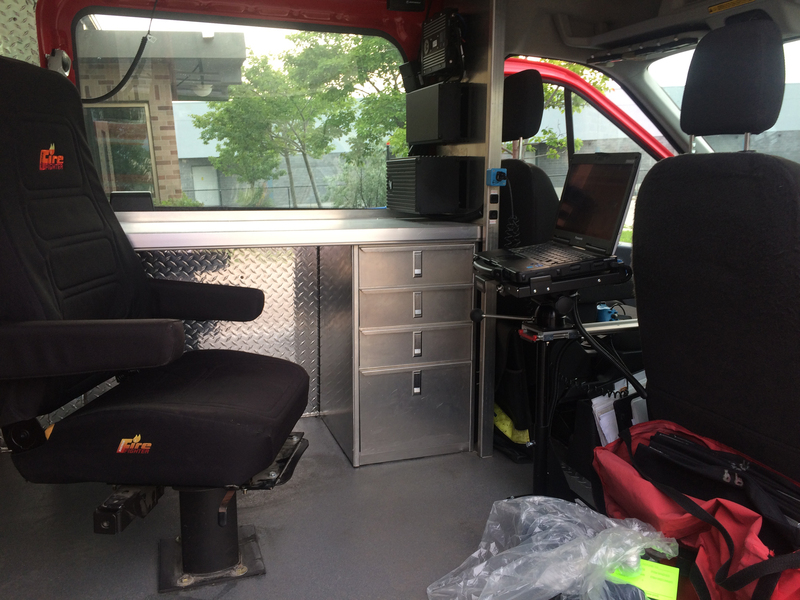 We can fit our mounts in 98% of your fire trucks, first response & supervisor vehicles. 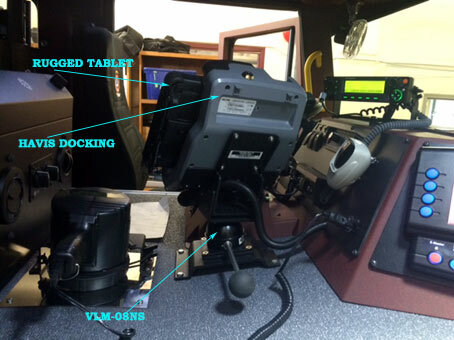 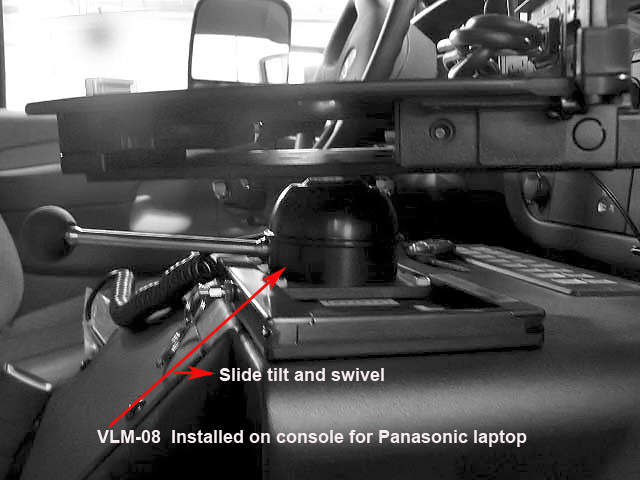 Any make/model of docking station with laptop or tablet may be mounted to the VLM-08 models. 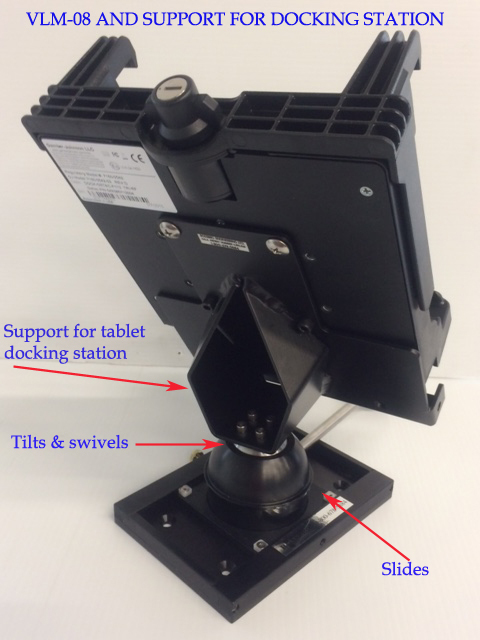 A unique support in its class which adapts to the majority of rugged laptop/tablet computers and docking stations. 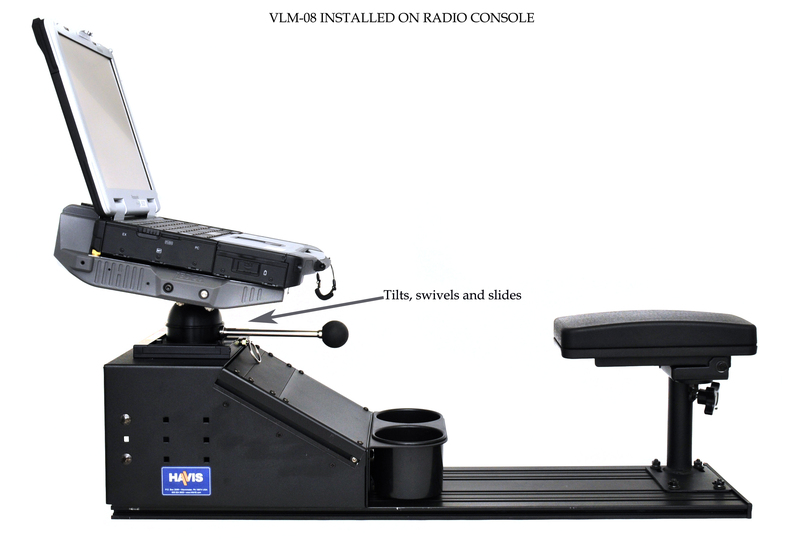 The VLM-08 allows quick and easy orientation on the horizontal and vertical planes or on a rotation axis. 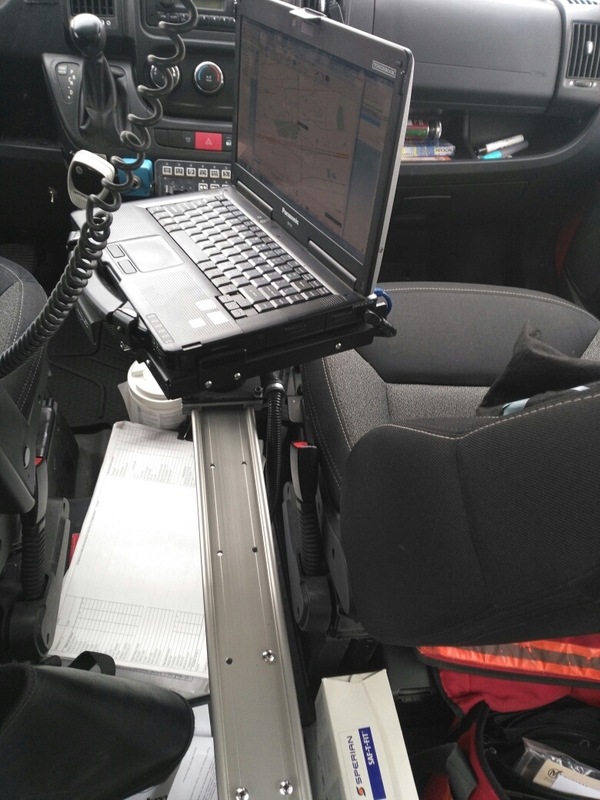 The most compact, high tech designed, user friendly laptop/tablet mount. 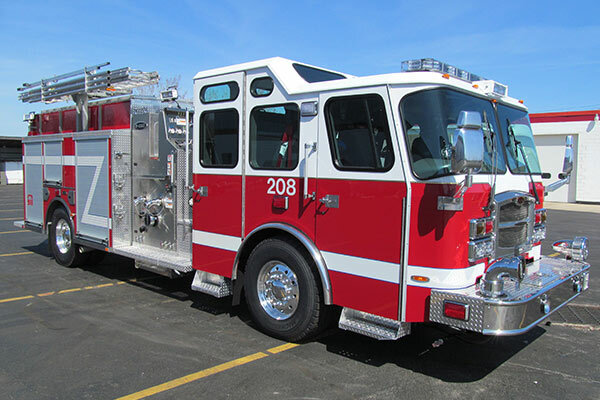 Designed & manufactured from aircraft aluminum, to aviation tolerances to resist vibration and with an anodised finish. 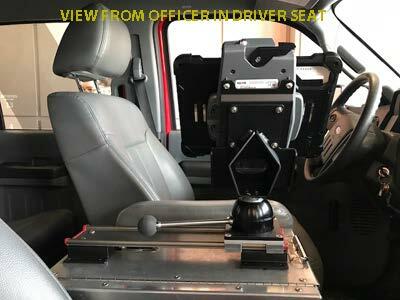 This mount can be adjusted to swivel, tilt and slide. 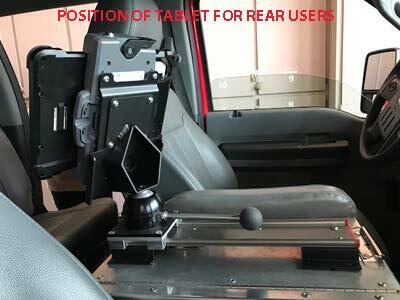 All of these movements require only one locking handle, which is free to rotate on its 360-degree axis, then locked anywhere along that axis, to be out of harms way. 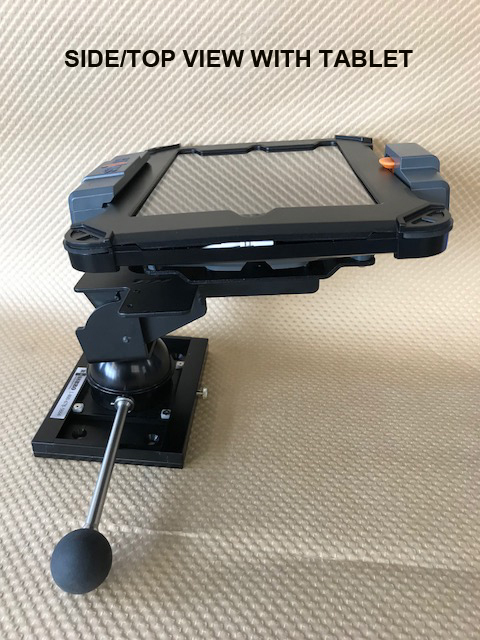 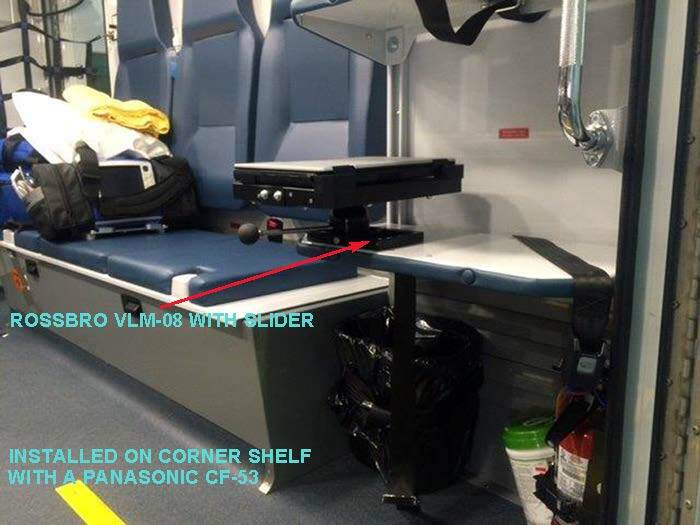 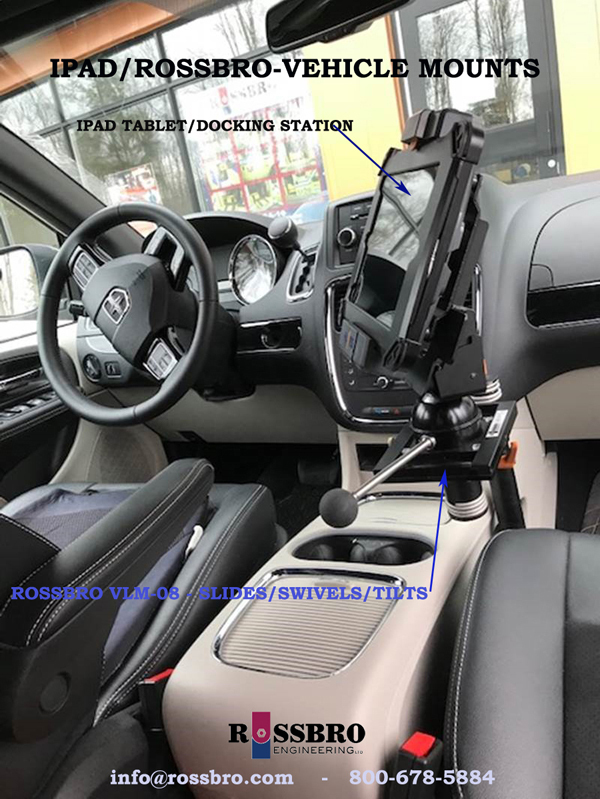 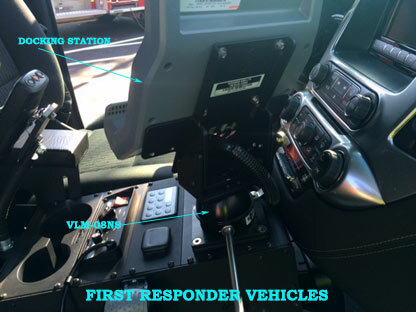 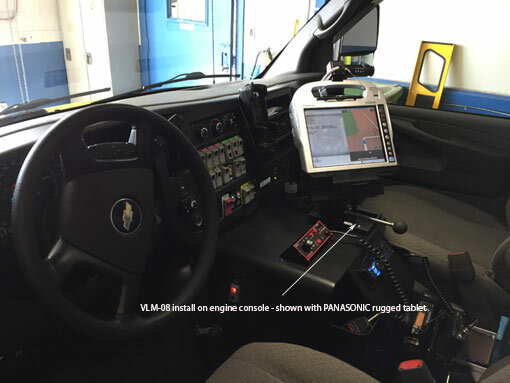 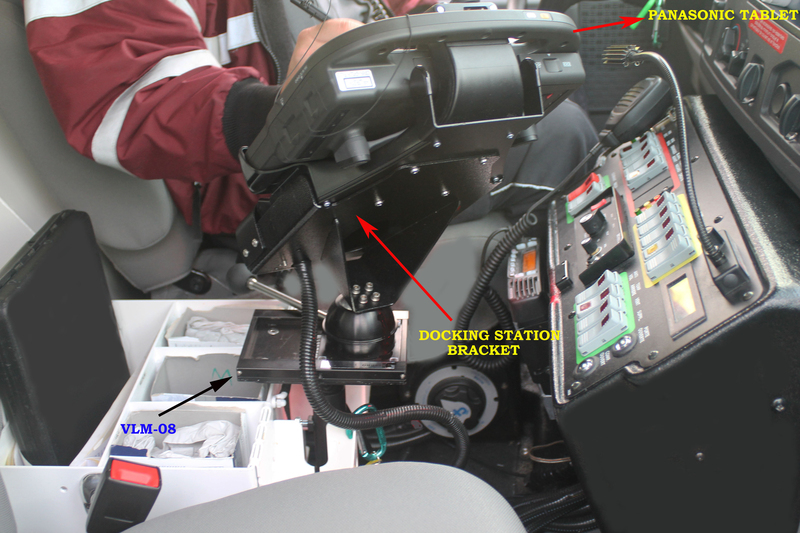 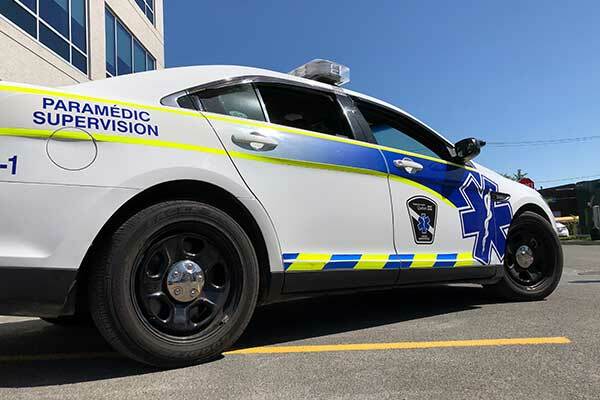 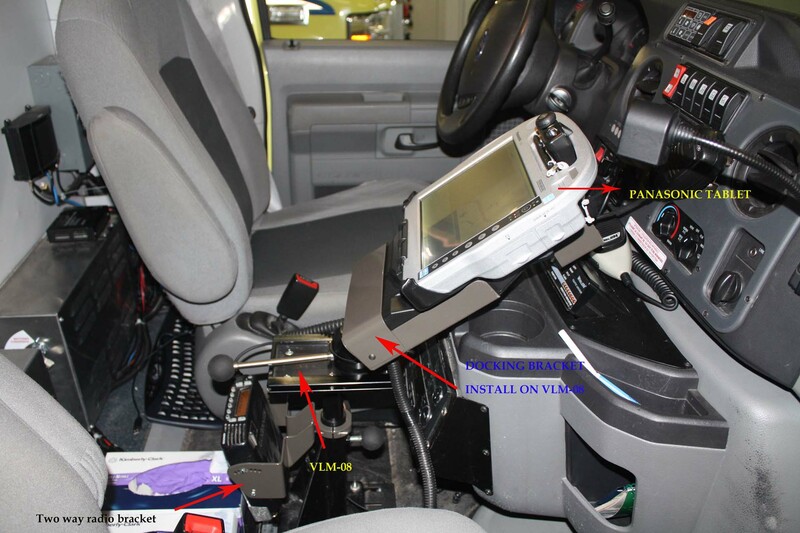 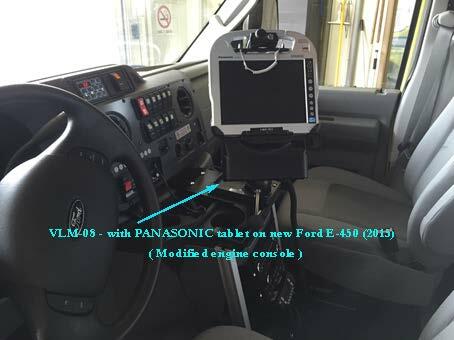 The VLM-08 may be installed on most existing radio center consoles, engine cover consoles in some ambulances, as well as on our vertical mount support, situated between the front seats in many ambulances. 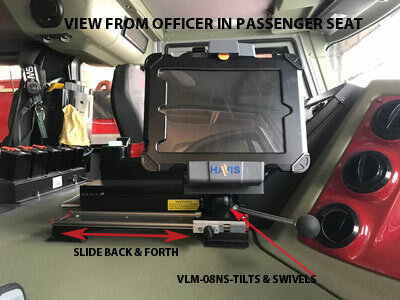 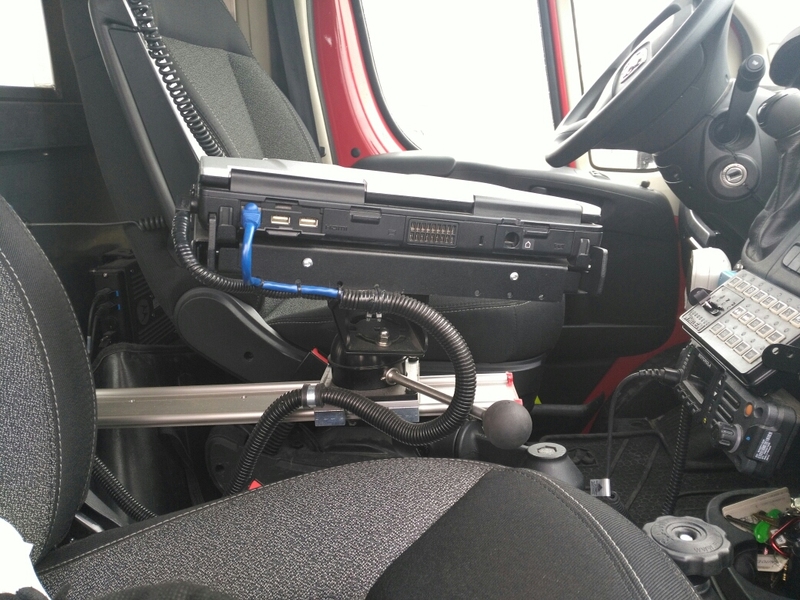 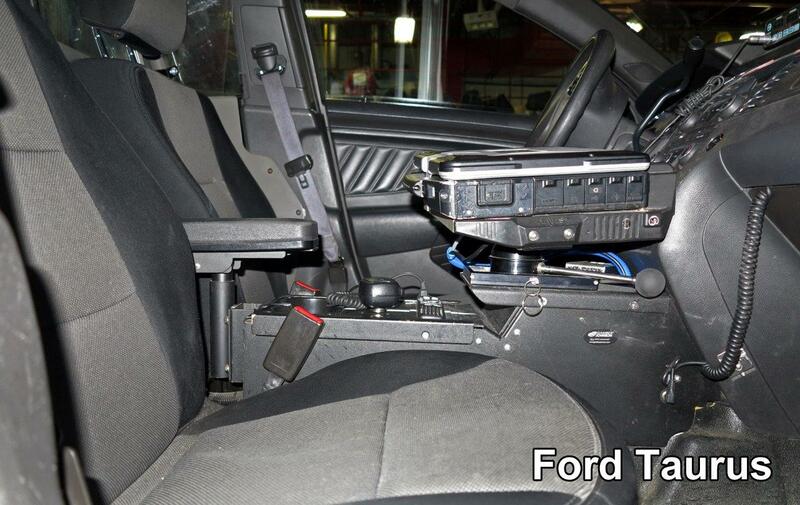 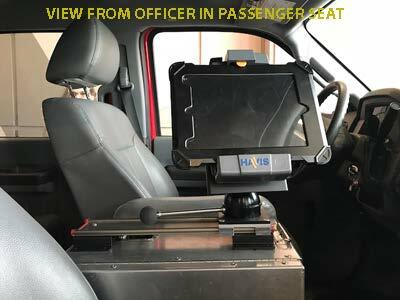 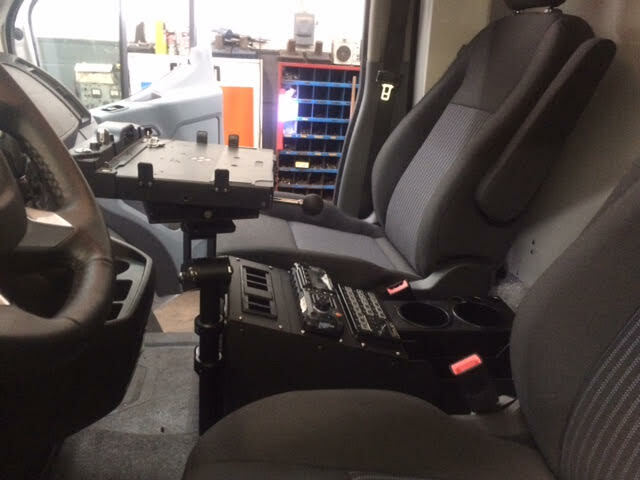 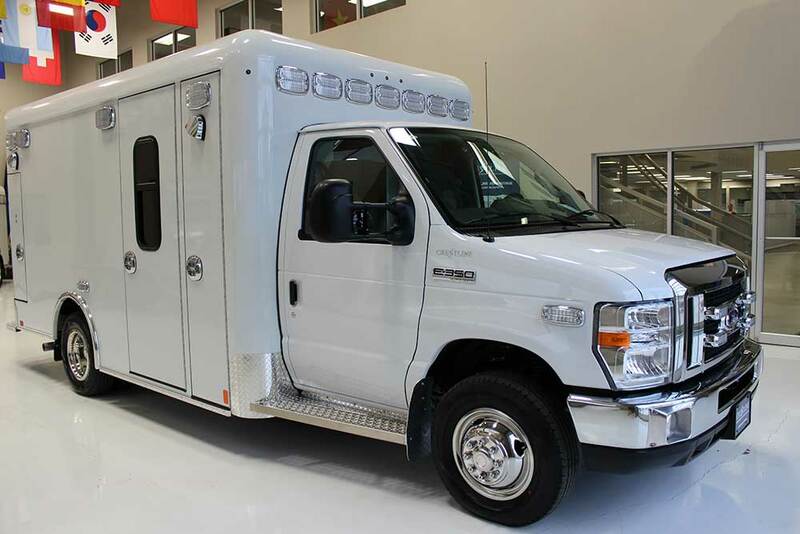 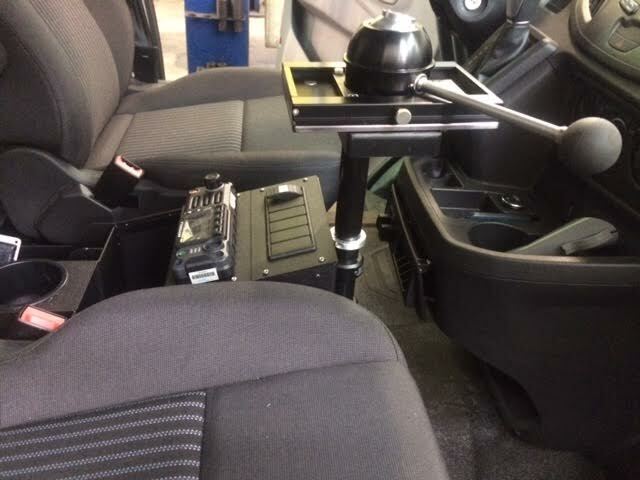 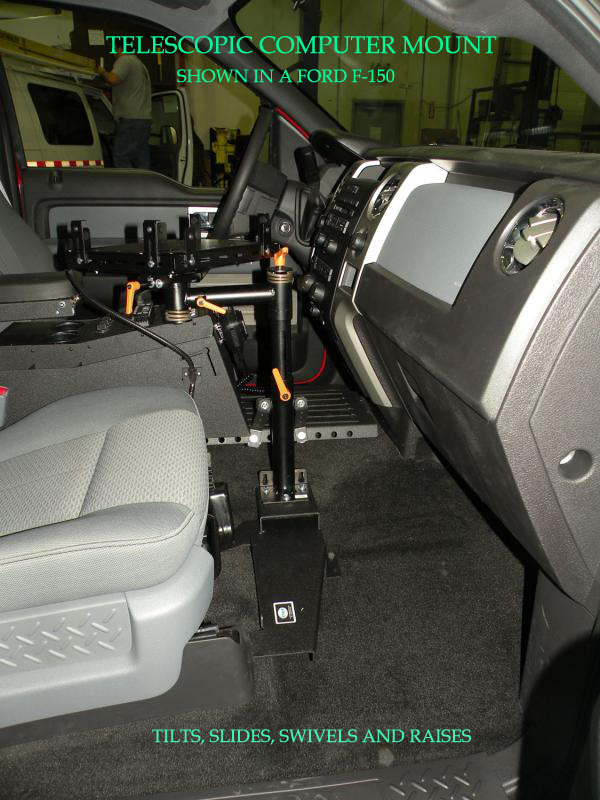 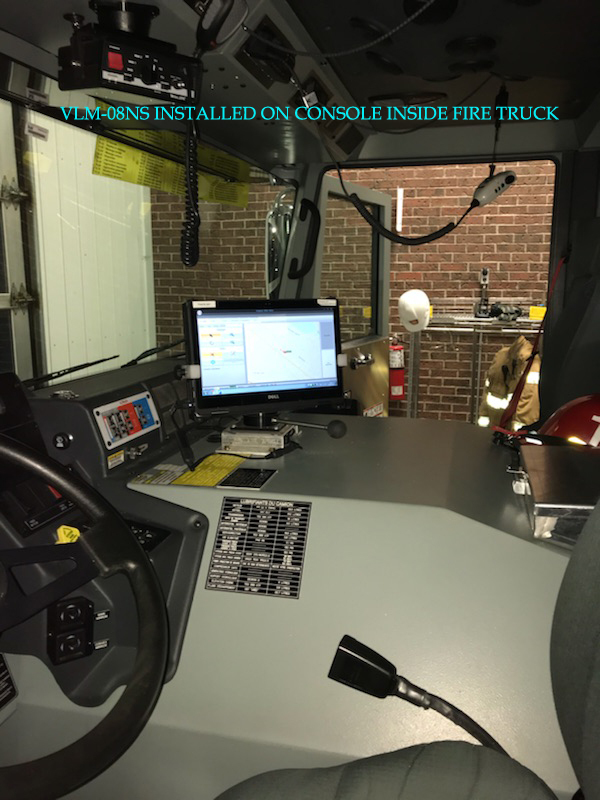 The sliding rail allows more than one user for the computer, the RAIL SLIDER allows the driver or officer in the passenger seat or rear users in fire trucks or other locations. 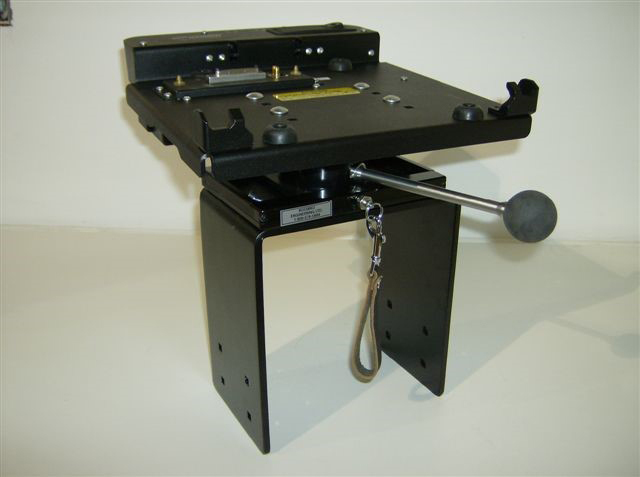 We also offer a 12-volt motorised unit or curved rail, allowing to go around obstacles. 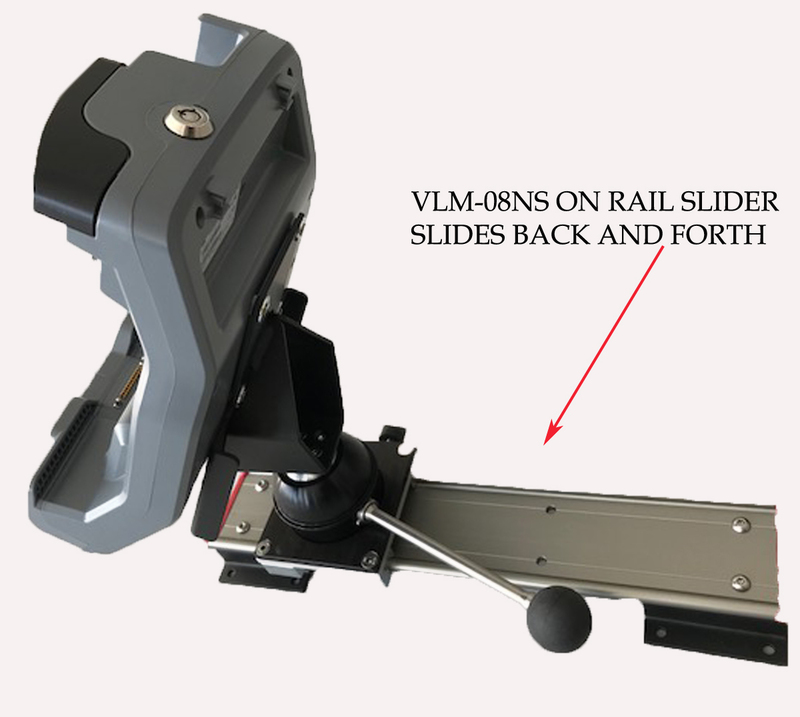 VLM-08 installs on the rail slider carriage to slide from one user to another by the 12 Volt motor. 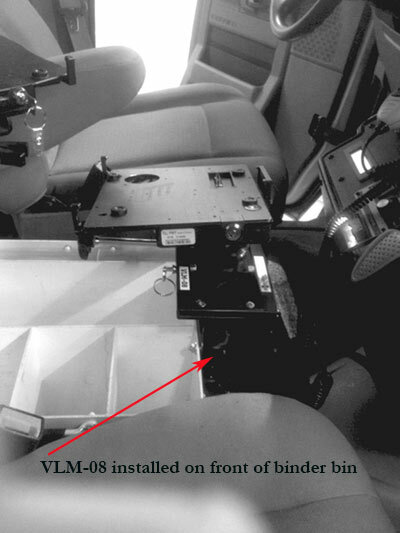 The VLM-08NS locking handle may be locked anywhere along it’s 360° axis for convenience and out of harms way.